For the soldiers who fought in it, from Europe to Gallipoli, the First World War was truly the war to end all wars. But the febrile atmosphere it generated, as couples were torn apart, or fell in love across previously impassable boundaries of distance or class, caused many lovers to declare themselves long before convention would have allowed earlier. 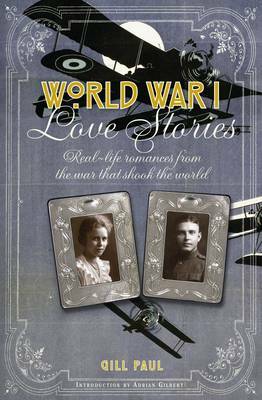 These moving, engaging accounts range widely, from the tale of Captain Robert Digby, on the run in Occupied France, who fell in love with Claire Dessenne, a beauty whose father was ultimately to betray his trust, to the daring stories of the Lafayette Escadrille, the legendary American arm of the French air force, who conquered hearts wherever they went, and the sad account of the girl Ernest Hemingway fell in love with as he recuperated in a Milan hospital, and who was to inspire his great novel, A Farewell to Arms.